A stone-chip or crack in your windscreen will often run at the most inconvenient time, however an early repair of the chip or crack even though it will not completely disappear will be far less visible and will maintain the strength and integrity of you windscreen without the higher financial cost of replacing the windscreen. A chip or crack in your windscreen can be repaired professionally to meet Australian Standard AS2366 – 1999 in about 30min. Unlike a windscreen, if rear and side windows are damaged they will need to be replaced we offer replacement glass to suit all budgets and needs ranging from genuine, non-genuine and second hand replacement windows. Once a vehicle is booked in for work an agreement between the customer and Shane’s Autoglass has been entered into. The customer acknowledges that if your insurer or fleet operator does not pay the invoice for any reason, you are responsible for the entire invoice amount. If booking work for another party and upon completion of the work that party does not pay you are the authorised person and we hold you responsible for all payments due unless written authority from another party for work can be supplied. Full payment of invoice amount or excess payment is required before the vehicle can be released. Freight, insurance and risk at the purchase’s responsibility. Shane’s Autoglass will accept no liability for damage loss, delay or non-delivery or for any cause thereof once goods are released to authorised third party carriers. All goods specially made, customised or purchased for the customer are non-refundable and a deposit prior to ordering may be required. All items returned for credit will incur a 10% penalty and must be returned within 14 days of the invoice date. Goods not returned within 14 days of invoice date are non-refundable items. Freight and non-delivery fees are not eligible for credit. Goods wrongly supplied will not incur a 10% penalty. Freight on returns must be pre-paid, all other deliveries will not be accepted. Goods returned will only be considered for credit if they are received in good and re-sellable condition, in the original packaging and when the original invoice number and date are shown. On the rare occasion, if one of our repairs should extend Shane’s Autoglass will replace your windscreen and will deduct the invoiced amount of the repair from the replacement cost supplied and fitted by Shane’s Autoglass. This guarantee does not cover body defects, pre-existing rust or corrosion or faulty rubbers or moulds which have been reused at the customer’s request, impact damage or misuse of the vehicle including failure to comply with the Safe drive time as directed by Shane’s Autoglass. A Safe drive time is the minimum amount of time that the vehicle must remain unmoved. 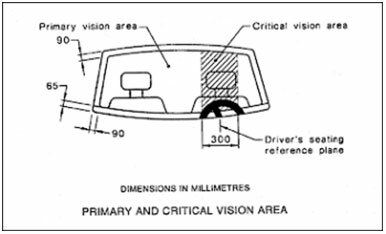 The Safe drive time will minimise the movement of the glass and depends on the type of vehicle and the type of glass being installed and compliance is essential for the safety of your vehicle during an accident and to prevent water leaks and wind noise. All warranty claims must be accompanied by the Shane’s Autoglass Invoice. Private Customers: Our workmanship guarantee is transferable if you sell the vehicle, provided the transfer occurs within 12 months of the invoice date, after this it is non-transferable. Trade Customers: Our workmanship guarantee acknowledges work is contracted on the owner/lessees behalf and is therefore transferable to those parties within 12 months of the invoice date, after this it is non-transferable. No liability will be accepted for the removal and fitting of customers own glass. No liability will be accepted for paintwork lifting when removing tape. No liability will be accepted for any loss or damage to the motor vehicle or its contents or any subsequent liability for other property. Shane’s Autoglass guarantee does not cover consequential damage and there does not accept any liability for any loss or damage (direct or indirect and including the avoidance of doubt consequential or economic loss) caused or which arises or may rise as a result of any work performed.